The Llabona Law Group offers caring and aggressive representation for divorce, alimony, child support and other family law matters. We understand the emotional scars and financial devastation that divorce can cause. When children are involved, the aftermath can be even worse. We help couples resolve their differences amicably, so they can preserve relationships with children and family. However, we also understand that some cases require a firm approach. We can protect your relationships, assets, and rights assertively and aggressively. 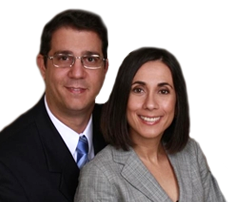 Lusan and Nelson Llabona are experienced Orlando divorce attorneys in Central Florida who devote individual attention to every case. Please visit our practice areas page for an overview of our services. If you are facing a family law issue that requires caring and aggressive representation, call us at 407-894-6003. At the Llabona Law Group, we have dedicated our practice to Florida family law. By focusing on just one type of law, we have the knowledge and experience necessary to help you get results. Whether you are making decisions about divorce, child support, adoption, or other family matters, a family law attorney in Central Florida can help. Divorce can affect your children, your finances, and your property. We will help you resolve your differences and protect your interests. Call us to speak with our experienced and dedicated Orlando divorce lawyers. Lawyers and staff at the Llabona Law Group speak English and Spanish. Our doors are open to you. Talk with an experienced Orlando divorce attorney; representing clients across Central Florida. To resolve legal issues for your family, please contact us today.